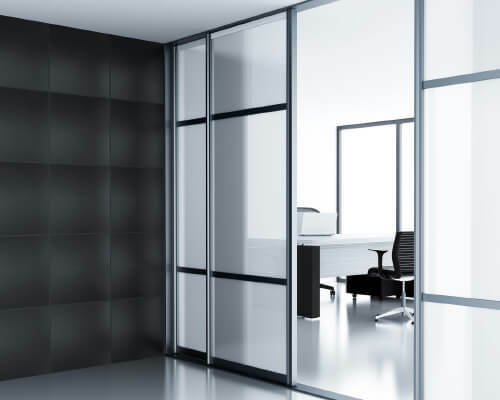 Switchable Glass Partitions are widely used for internal partitioning due to their ability to interchange between clear and private. Also termed as privacy glass by many, it is an electrically switchable glass with modifiable opacity that uses technology to transact between transparency and opaqueness through the application of voltage. It can change from clear to a frosted appearance at the flick of a switch while allowing light to pass through from both sideglasses. Two layered insulated glass which has 0.76mm laminate sheet in between. Can be used for internal partitioning & for doors in office buildings. It offers superior hygienic properties in comparison to curtains & blinds & is especially useful in buildings where hygiene is a major priority such as hospital establishment.